Move over Vertu, looks like you got some company on the horizon. 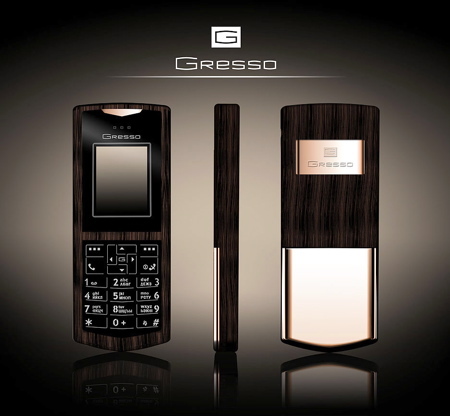 Though little is known about Gresso (other than the fact that they operate from Russia) they've just come out with a new luxury phone they claim is "well equipped technically." The phone itself is made of gold and African Blackwood (which is reported to be very resistant to decay) and has a sapphire anti-glare crystal glass framing its screen. Gresso claims no two of its phones are alike, but hasn't released any price or availability info. As a matter of fact, you can only contact them via a shady Hotmail account. We sent them a note saying we were interested in the phone and will post any updates as they arrive.